We offer children a welcoming environment to meet with others who are growing in the christian faith. Reach Kids - Awana reaches kids for Christ through fun, Scripture-rich experiences that lead them to know, love and serve Him. 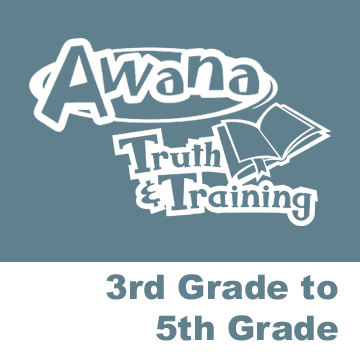 Change the World - God is at work changing the world through the evangelism and long-term discipleship ministry of Awana. 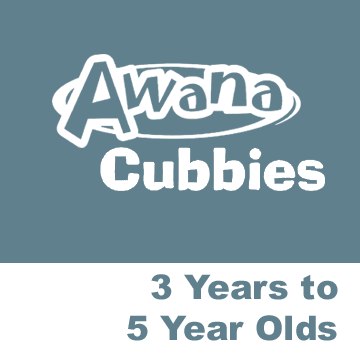 Awana is constantly seeking to serve leaders and kids in better ways so that more will come to know, love, and serve Jesus Christ. Children in grades 3 - 5 enjoy learning that following Christ is the ultimate adventure! T&T Club teaches the Truth of God's Word and Trains them to follow God and practice his grace. Each club member has their own handbook to work through and enjoys large group lessons and game time each evening.